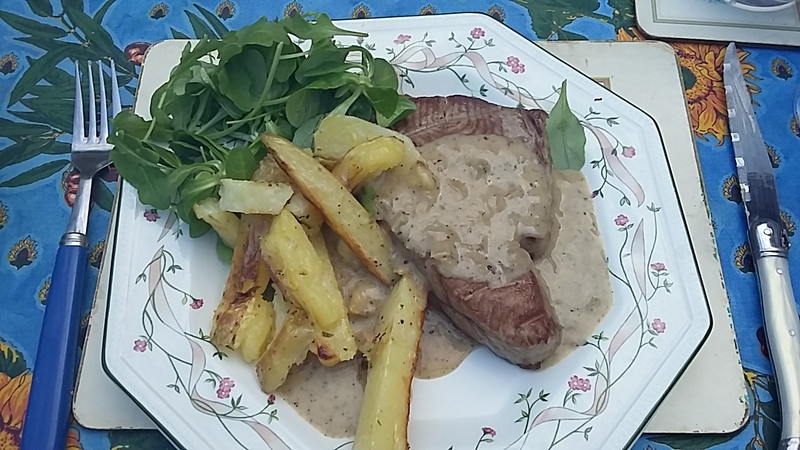 One of my (non-pescatarian) husband's favourite meals is steak with pepper sauce. A few years ago we were in France for his birthday. 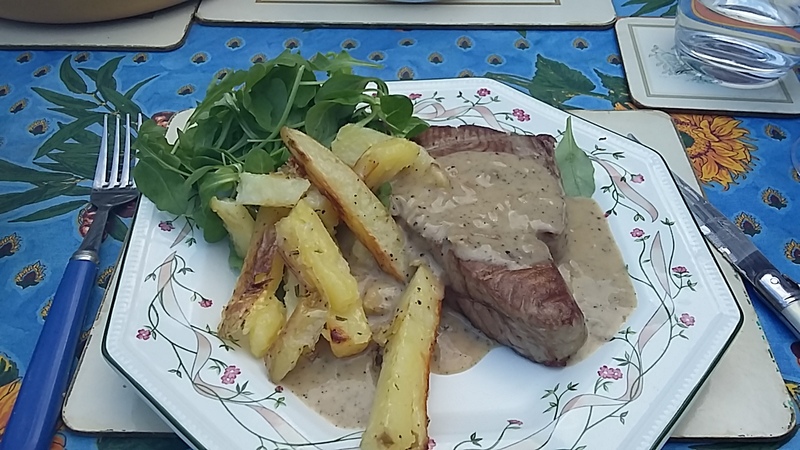 As France is home of the sauce I decided that I should make the it properly for his birthday meal. I didn't have a recipe so I just played around with some basic ingredients and after some experimenting I have settled on my favourite way. It only takes 15 mins and the majority of that is just the sauce simmering. Once you have made it yourself you won't go back to a packet version, they are seriously lacking in punch! In a large saucepan heat the butter and oil over a low heat, add the shallot and cook for 2 minutes until softened. Stir in the ground peppercorns and then add the flour. Once the floor and butter mixture has made a paste add the vegetable slowly, stiring constantly. Once all the vegetable stock has been added leave to simmer for 10 mins until thickened. Stir in the cream and then the lemon juice. Check the seasoning of the sauce and add more pepper if you would like it hotter.